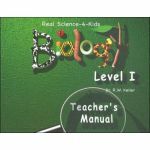 Real Science 4 Kids is a "Kid friendly, mom- pleasing curriculum". 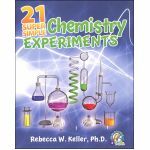 Written by a homeschool mom, Dr Rebecca Keller takes material that often overwhelms us homeschool parents and makes it easy to understand and fun! The pictures are bright and colorful, the experiments use standard household items. We have not used this yet ourselves, but have a friend who is a chemist and taught a co-op class using RS4K and she loved it. There are 10 chapters in each subject, making it possible to cover each level in 1 year. One important note: If you are teaching more than one homeschool student (using several different levels), each level teaches the same lessons but with more difficulty. In other words, your 1st grader and your 6th grader can each work in their respective physics book, while they are learning the same subject matter in lesson 1 - but at their level. Even the labs are the same (but again, requiring more from older students). For example, in the chemistry books, all 3 levels will have the students build a molecule out of marshmallows and toothpicks. The oldest students will add additional activities and lab sheet skills to theirs. You could conceivably buy just the teacher book for your oldest student and easily be able to correct all your kids' work. You can also use your younger student's book to remediate your older student if he gets stuck in his book (since both books cover the same subject matter in the same lesson). 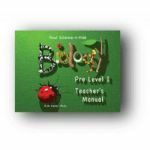 A truly homeschool-friendly curriculum! Even better, Real Science 4 Kids has an interactive website with all kinds of additional helps and tutoring for your students!